Does Your Insulation Measure Up? When it comes to knowing if your home is adequately insulated the first thing to ask yourself are these three things. When it comes to determining whether you need new insulation in your home these are a few indicators that whole-house insulation is your best choice. 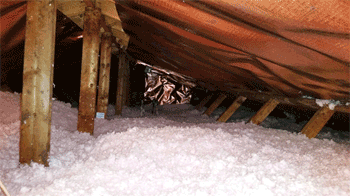 If your home is not very energy efficient and your utility bills are growing you should check on your insulation. If your home is older and it still has the original insulation you should check your insulation. An important thing to know about insulation is literally how does it measure and this is called the R-Value. “R” means resistance to heat flow. Insulation is meant to stop the movement of heat. The higher the R–value, the greater the insulating power. Almost all insulation products have to tell you their R–value — pipe, and duct insulation are the only exceptions. 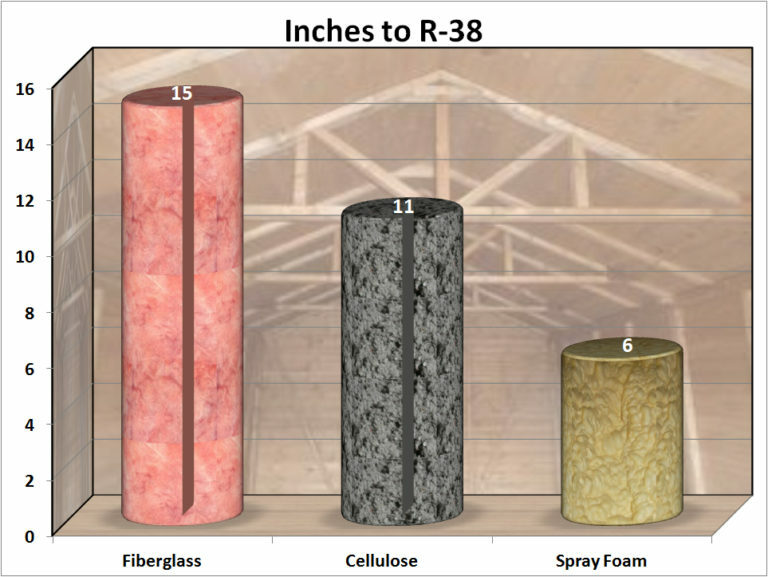 Now you should know there are different types of insulation and each has different R-Values. 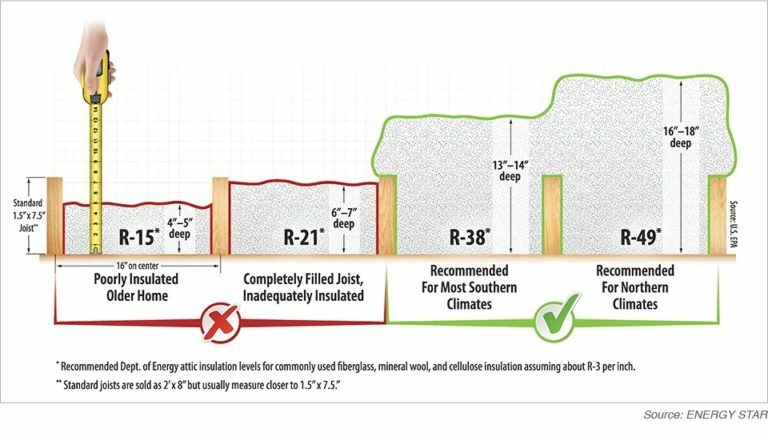 The problem with just using R-Value as the sole yardstick of an insulation’s effectiveness is that heat moves in and out of your home (or about any other structure) in four ways: by conduction (which R-Value measures), and by convection, radiation and air infiltration (none of which R-Value measures). Wize Home Direct offers an exclusive copper radiant barrier in addition to traditional insulation called Copperflect. Copperflect reflects the radiant heat of the sun back out of your attic, keeping it cooler in the summer while reflecting radiant heat back into your home during colder months. If you have questions Wize Home Direct offerers free energy audits that can take a look at your insulation. Just call us today to set up an appointment. At Wize Home Direct, we realize your Hickory, NC home is a big investment, and we’re here to add value with new windows, doors, gutters and insulation.